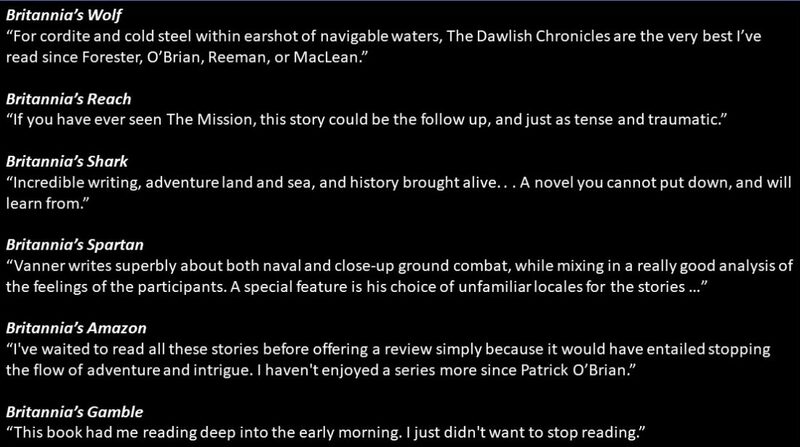 In the previous parts of this occasional series I commented on the fact that so many of the artists of the Age of Fighting Sail who left us the paintings that have formed our mental images of warfare in that era, far from being studio-bound, had direct experience of life at sea. One such man was Richard Paton (1717-1791). He did not have the benefit of apprenticeship with an established painter – unlike, for example, Thomas Luny, who was featured in Part 3. (Click here to read that article, if you missed it). Richard Paton’s achievement is all the more impressive since he appears to have been largely self-taught. Richard Paton seems to have been born in London, though nothing is known of his antecedents. He grew up in poverty and according to one source Paton was noticed by Admiral Sir Charles Knowles when he was begging at Tower Hill. The story has an almost “too good to be true” it but Knowles was a somewhat atypical officer, with strong interests and achievements in science and engineering, so it may not be wholly unbelievable. 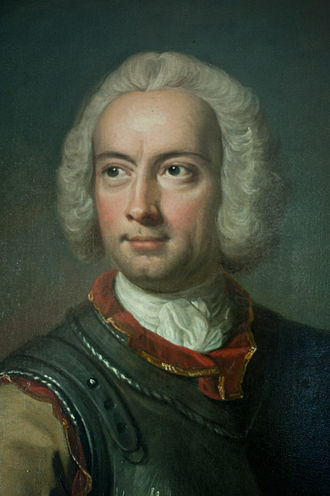 Knowles (1704-1777) would have been a captain in this period (he gained “post” rank in 1737). He was a fascinating figure, who not only saw very extensive service in the Royal Navy in the wars of the 1740s, 50s and 60s, but who also later served in the Imperial Russian Navy from 1777-1774. 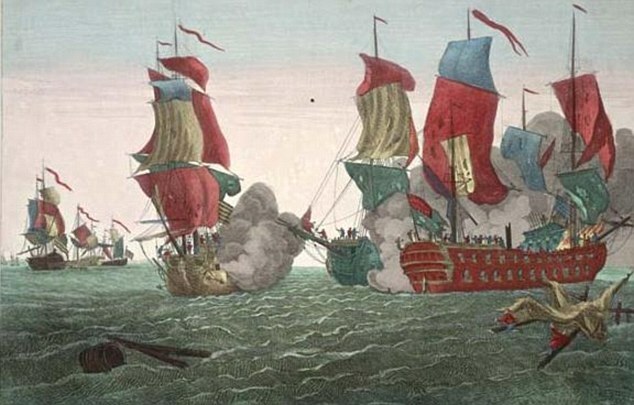 The latter occurred at a particularly significant time as the Russian Navy, still a relatively new force, was of crucial importance in the 1768-74 war with the Ottoman Empire which resulted in Russia’s acquisition of the Crimea, the Southern Ukraine and part of the North Caucasus. As Knowles’ protégée, Richard Paton was employed as assistant painter on ship on Knowles’ own ship. This may seem a humble beginning for a successful artist but this was however a t period when ships were still highly gilded and decorated. He seems to have stayed at sea, gaining knowledge in both painting and seamanship – the latter being crucial for the realism of his later paintings. Richard Paton was to come ashore in 1742 to work at the Excise Office, but presumably honing his skills as an artist at the same time. Richard Paton’s first exhibition at the Society of Artists was in 1758. 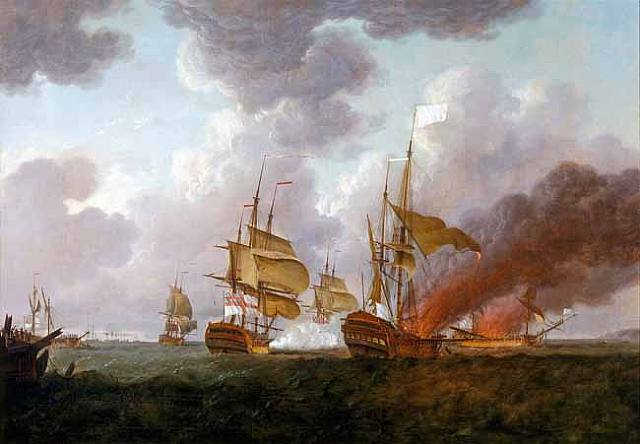 The period was an ideal one for naval artists to flourish in. 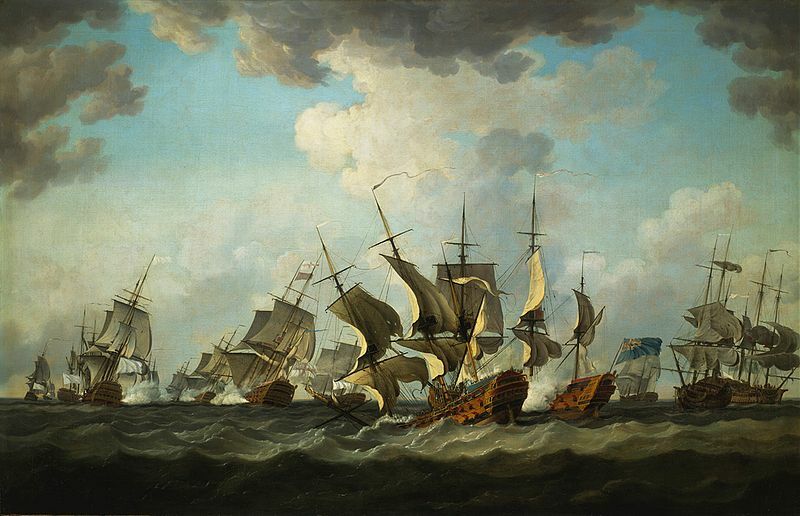 The Seven Years War – essentially the First World War, due to its geographic spread – had started two years previously and in its course the Royal Navy was to be the prime factor in consolidating Britain’s position as global power. 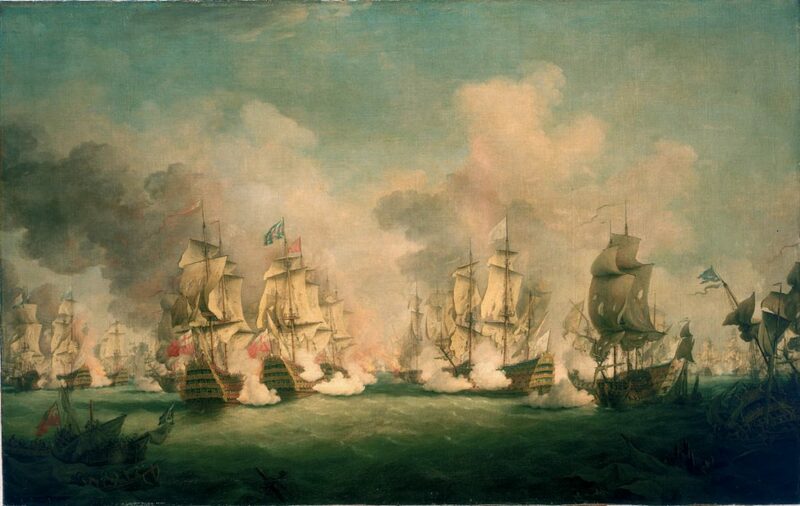 1759 was to be “The Year of Victories” – which included Admiral Hawkes’s smashing of the French fleet close inshore at Quiberon Bay, in the very teeth of a gale – and national pride and confidence reached hitherto unequaled levels. 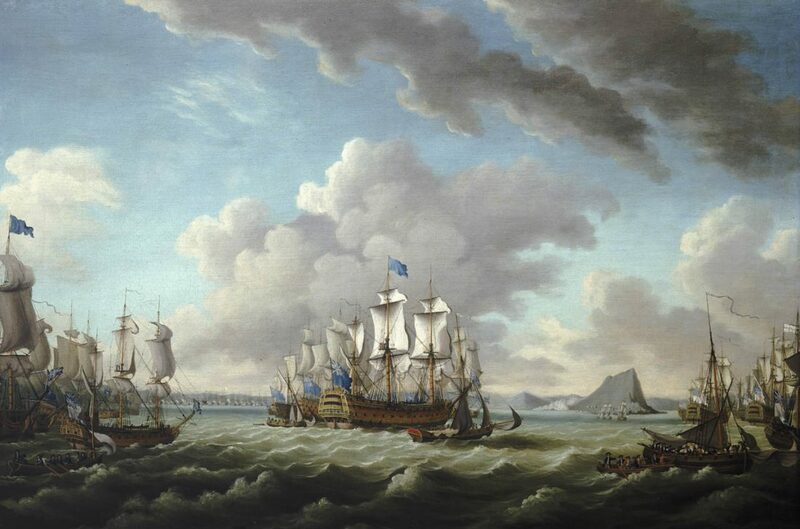 Another depiction by Paton of the Quibieron Bay victory – with French warships ablaze! A painter capable of bringing to life not just contemporary battles, but others which had occurred over the previous decades, was likely to find a ready market for his work, not only as regards the original paintings, but reproduced as engravings for a much wider distribution. 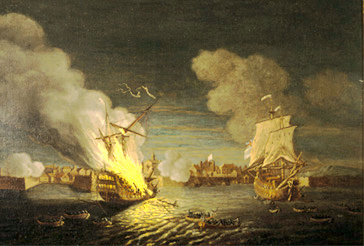 Richard Paton’s work was notable for conveying the drama of action, including depictions of battles by night, shooting of cannon and the effect of bombardments. His mastery of cloudscapes as a background to the action was considered especially effective. Despite his lack of formal training Richard Paton was accepted by the Royal Academy and he was to exhibit there between 1762 and 1780. Critics were to claim that his work was “uneven in quality, possibly reflecting his lack of proper training” but one suspects that there was more than a tinge of envy in this evaluation. Richard Paton was to continue a successful career for the rest of his life, a new impetus being given by the battles of the American Revolutionary War (1775-1783). 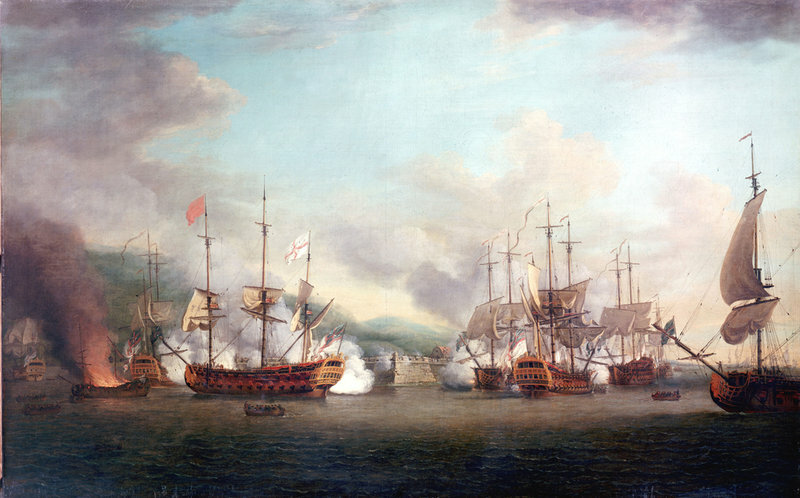 One of the key events of the period was “The Great Siege” of Gibraltar, and one of Paton’s most impressive later works showed the relief of the beleaguered fortress by Admiral Sir Richard Howe’s fleet in 1782. (For a blog-article about this, click here). 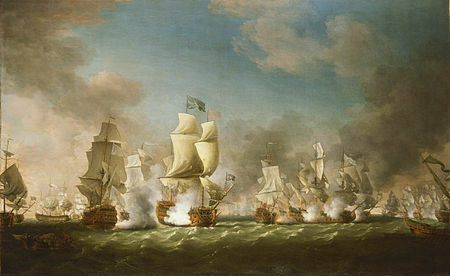 One of Richard Paton’s most widely known works from this period was a depiction of the epic battle in 1779 off Flamborough Head between the Royal Navy’s HMS Serapis and the American Bonhomme Richard, captained by John Paul Jones. The original was to find a home in the US Naval Academy at Annapolis and an engraving made from it was to have very wide circulation in Britain. (It is notable that Jones was afterwards to follow Richard Paton’s original patron, Sir Charles Knowles, into Russian service, albeit at a later date). Richard Paton’s paintings remain as a delight to all fascinated by the Age of Fighting Sail – and, if legend is for once correct, then it is pleasing to think of us owing his entire oeuvre to a Royal Naval officer taking pity on a beggar boy.